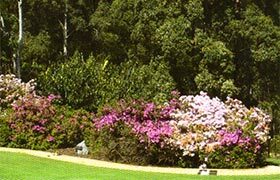 This garden has large shrubs and a variety of flowering plants which bloom in the different seasons of the year. The rose garden is a great feature here. Our roses produce some of the best blooms seen in the north coast. The rock gardens surround areas where a variety of shrubs and plants feature in the different seasons. The family estates are designed for families to make plans for their everlasting resting place. This garden area is set aside for children and is available for visitation and reflection. 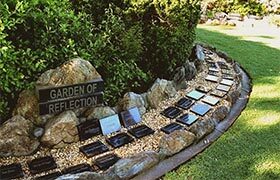 A memorial plaque is placed in our Garden of Refection for everyone cremated here and is a free service. 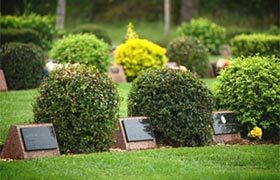 Our cemetery in the gardens is a unique development where advanced shrubs make each lot individual and private. 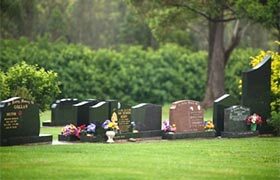 Granite headstones can be erected in a variety of shapes, colours and sizes in the monumental lawn cemetery. 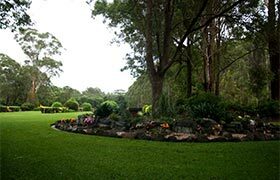 The Manning Great Lakes Memorial Gardens has been serving families of the Manning Valley and Great Lakes region since 1997. 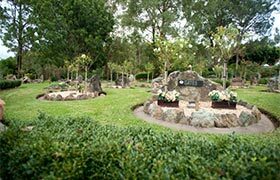 Our beautifully landscaped grounds provide the perfect resting place for loved ones with memorial options for burial and cremation. 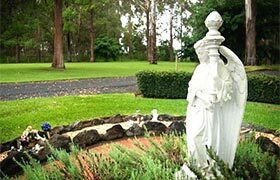 The onsite facilities include an air-conditioned chapel and two tea rooms for after funeral catering. 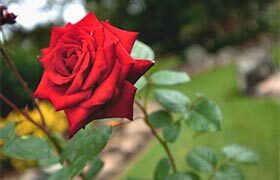 To view our Chapel Service Calendar for Funeral Services, please view the Manning Great Lakes Memorial Gardens Funeral Calendar.